And there’s never any warning about where it will be or who it will be. 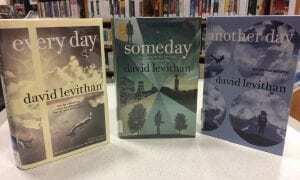 Every Day series by David Levithan. 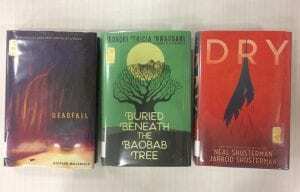 All Junior Library Guild selections, and all have a summary that includes the word nightmare…. 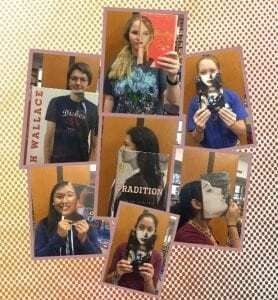 Friday, the 27th of April, will be the last day for high school students to check out from the library this school year. All materials will be due on May 21st. 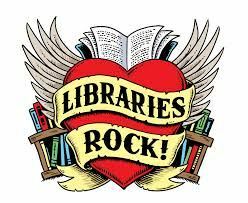 Check-outs will resume on June 4th when the library opens for summer hours. You will still need your ID! See you this summer!